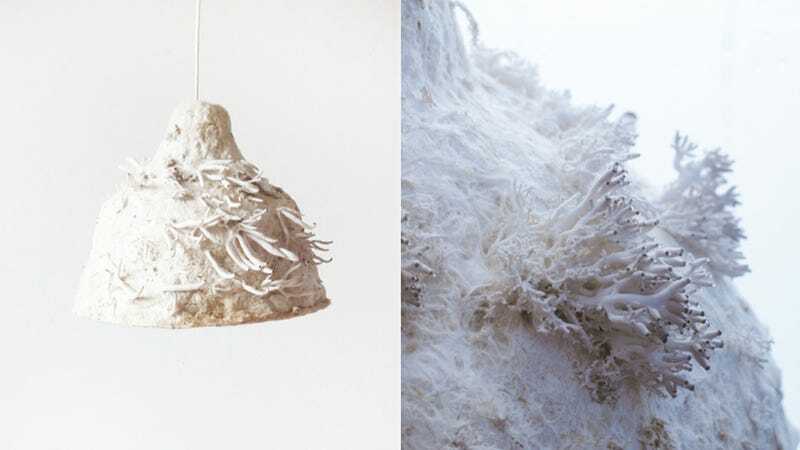 The most I can harvest from my lampshades is a thick layer of dust, so I am simultaneously impressed and completely grossed out by these MYX fixtures made from mycelium. They're grown into form, and edible mushrooms can actually be reaped from the top before they're hung in place. Weird as it may seem, mycelium is really having a moment as a next-generation building and design material. The quick-growing fungus is can be forced to fit pretty much any mold, creating a dense, foam-like substance that has of late made headlines as an architectural tower and bio-plastic.